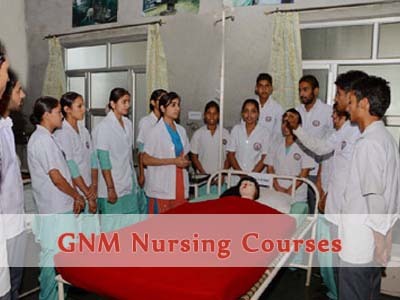 GNM Courses in Punjab (3 years) – Punjab is having a number of best nursing college availability out there. But are they all providing the useful knowledge? This is the major concern while looking for a best GNM college in Punjab. GNM full form is General Nursing and Midwifery. This is the best nursing profession you can go for. But choose your learning source wisely. Mata Sahib Kaur College of Nursing is giving the excellent work opportunities by training them for their future jobs. Under the guidance of INC and PNRC, we are educating our students to make a career in the nursing profession. Therefore, you can join us for a bright future career in GNM courses. Undoubtedly the nursing profession is having a number of job opportunities. But these job opportunities will be available to you if you are getting the best education and practical training. Therefore we suggest you make a right choice while taking a step towards a nursing career. The education and training for GNM will act as a foundation for future growth. The skilled staff at Mata Sahib Kaur College of Nursing will make you ready for all situations. All the quality features make us as the top GNM College in Chandigarh, Punjab, and Mohali. In any case, you want us to make it more clear to you, there are two ways to communicate with us. You can either mail us on msk.mohali@gmail.com or give us a call on 8101000004. Our team will solve all your queries regarding GNM course fee structure, GNM course duration, GNM course syllabus etc. GNM is a nursing course in which you will be going through a number of cognitive learning. It will make you ready for performing different nursing tasks with excellence. Consequently, it will make you eligible for becoming a member of the healthcare team, nursing, and prenatal care. The GNM course duration is 3 years. General nursing and midwifery course will provide you a number of platforms and will increase your nursing skills. The salary package you will getting is high after the completion of your GNM course. In addition, the most important is the noble cause of working for humanity. Your contribution towards making your country healthy and strong will be more in comparison to others. Teacher, junior lecturer, and professor. Emergency room nurse and midwife nurse. There are many more professions in the field which is making GNM scope much wider. Therefore, the more you will learn during your GNM course, more will be the growth and career in the future. GNM programme is meant to prepare general nurses who can efficiently perform as members of the health team and capable of dealing with the competencies in both the hospitals and other such organizations. Nursing is a noble profession. It is a promising area offering diverse job opportunities to male and female aspirants. Nursing is an integral part of the healthcare sector. Nurses play an important role in the smooth functioning of various healthcare setups. The minimum Qualification 12th class passed with science, Physics, Chemistry and Biology subjects with an aggregate of 40% marks as per Indian Nursing Council Norms. ANM diploma holder can also opt for GNM course. The conditions are not pleasing at present. Because the ratio of patients and nurses is not good at all. Therefore, the higher authorities of different countries are also contributing towards promoting such nursing courses. This scarcity of nurses is leading to increase in the number of nursing colleges. Different government councils are encouraging the career in this field. Consequently, the demand for GNM nurses is increasing. While talking about India, the demand pattern is again the same. Many regions need high sanitation and medical care which nurses can provide better. There are many well-known hospitals where you can join after GNM course completion. There are two factors mainly which will decide your future growth in the sector. One is your skills and knowledge and another one is the learning source for those skills. Why Choose Mata Sahib Kaur College of Nursing for a Best GNM Course in Punjab Region? Teaching faculty is highly competent. Teaching skills will make you grasp the things more easily. Uses of different new technology for knowledge imparting. Learning-friendly environment for the students. Other co-curricular activities in the college. Links with the well known hospitals in Punjab. Preparing you for high salary packages. We assume that your interest have aroused a little more. We are providing our best education and training and which makes us the best GNM College in Punjab, Chandigarh, and Mohali. Therefore, those looking for admissions with us can join us anytime and can know the overall GNM course details with us.